for a small, agile company. The logo had to reflect the way Fautory operates, with agility and collaboration being at its core. The symbol depicts a growing and evolving “F” letter that is developed incrementally, through a series of iterations. 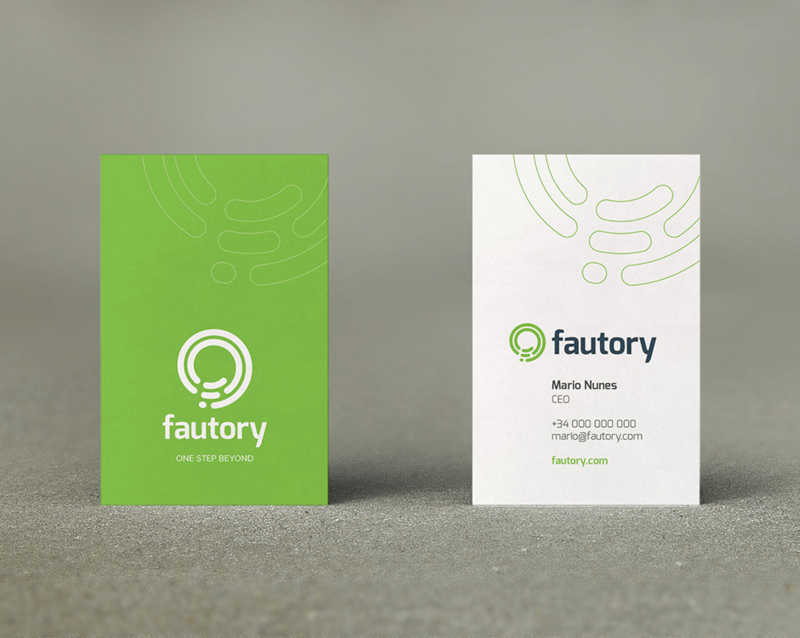 I was responsible for the design of the Fautory logo and business cards. Front (left) and Back (right). The logo was designed in early 2014. The logo and business cards were designed in Adobe Illustrator, with the exception of the symbol, that was created in Inkscape due to its superior spiral tool. The photorealistic business cards mockups were generated in Adobe Photoshop.